Inframammary Breast Augmentation Scars - How Do They Heal? 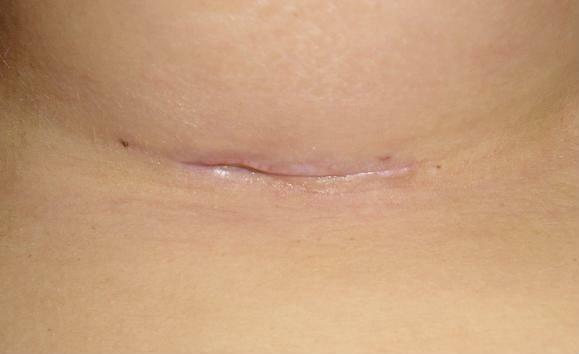 Curious how your scars after breast augmentation will heal in the weeks following your surgery? 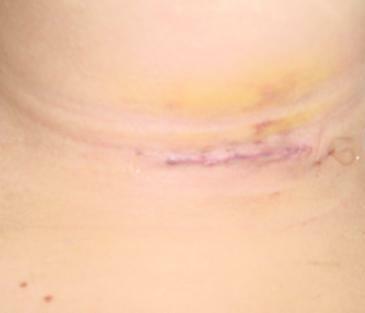 These photos show the progression of scar healing in an inframammary incision, which is made underneath the breast, where the breast and the skin come together. Remember, all scars are not created equally. Everyone heals differently and in their own time. For example, some women may develop keloids (raised, reddish nodules) or hypertrophic scars (thick clusters of scar tissue), which take longer to heal and fade. If you are concerned about the appearance of your scars, ask your doctor what he or she recommends to help speed the healing process.